Event (CCA Oakland): Thursday, February 21st at 7:30pm Linda Sormin presents a Visiting Artist Lecture at California College of the Arts, Treadwell Hall, Oakland Campus, 5212 Broadway. 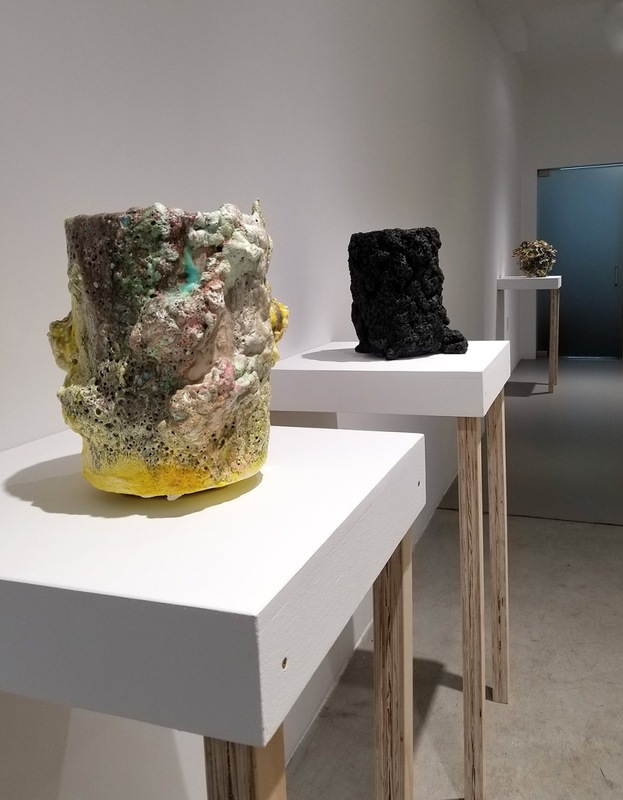 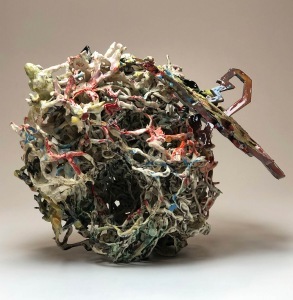 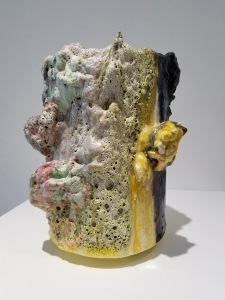 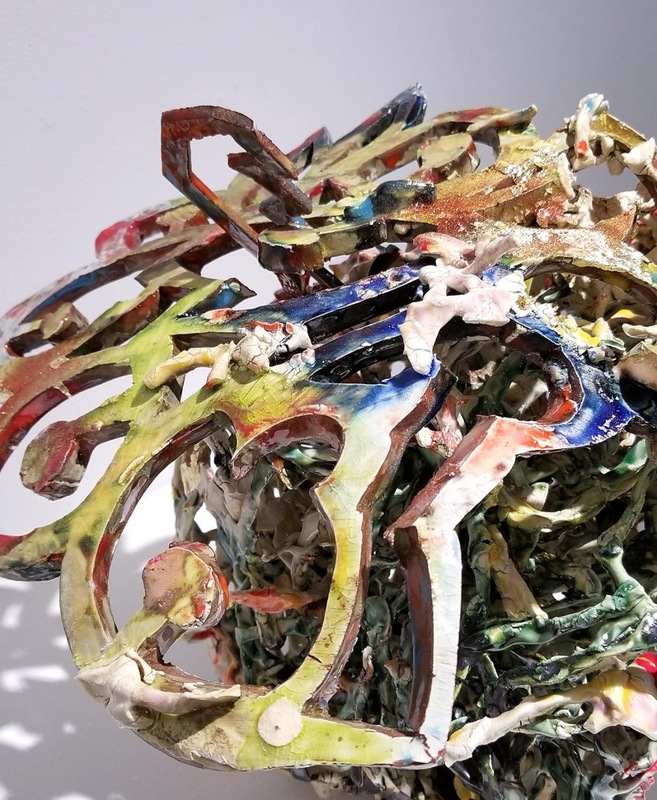 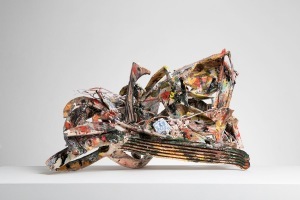 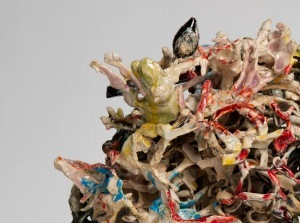 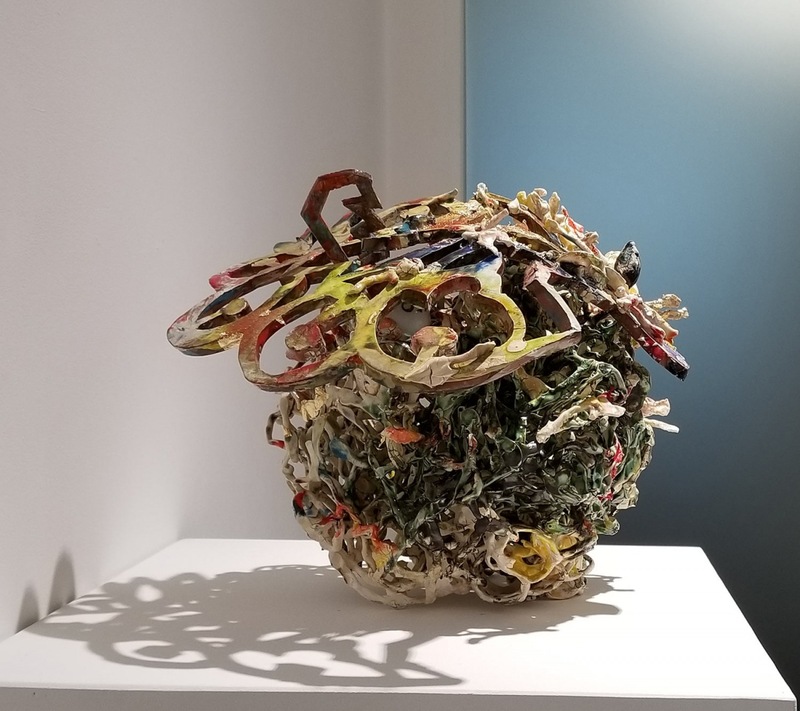 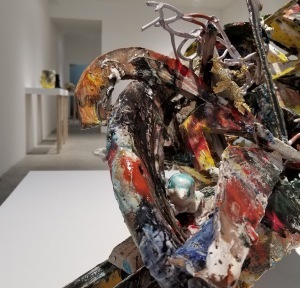 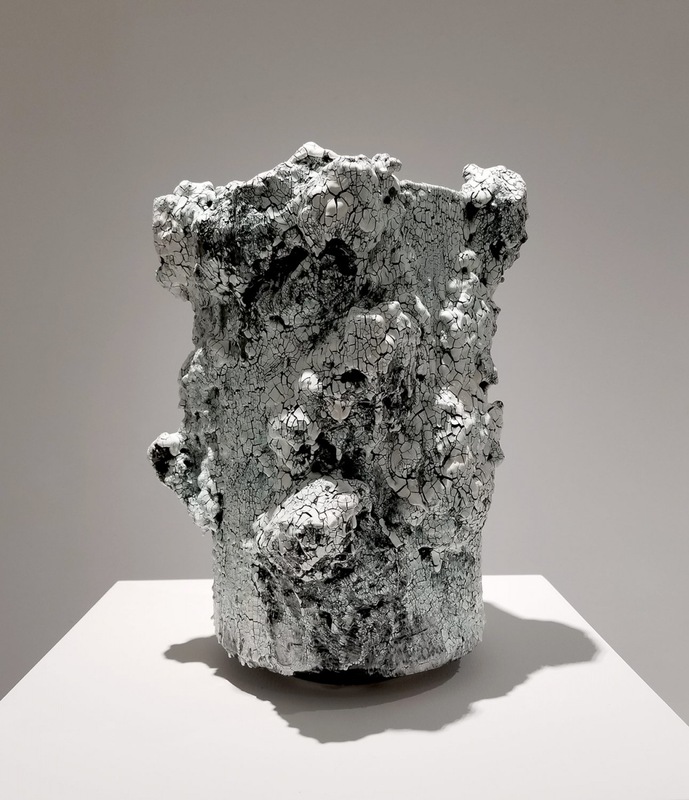 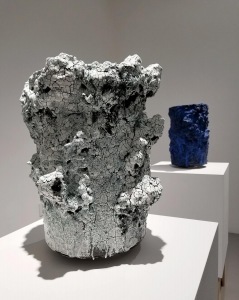 It’s with great pleasure PATRICIA SWEETOW GALLERY presents the ceramic sculpture of three renowned ceramic artists, Tony Marsh, Nancy Selvin and Linda Sormin. 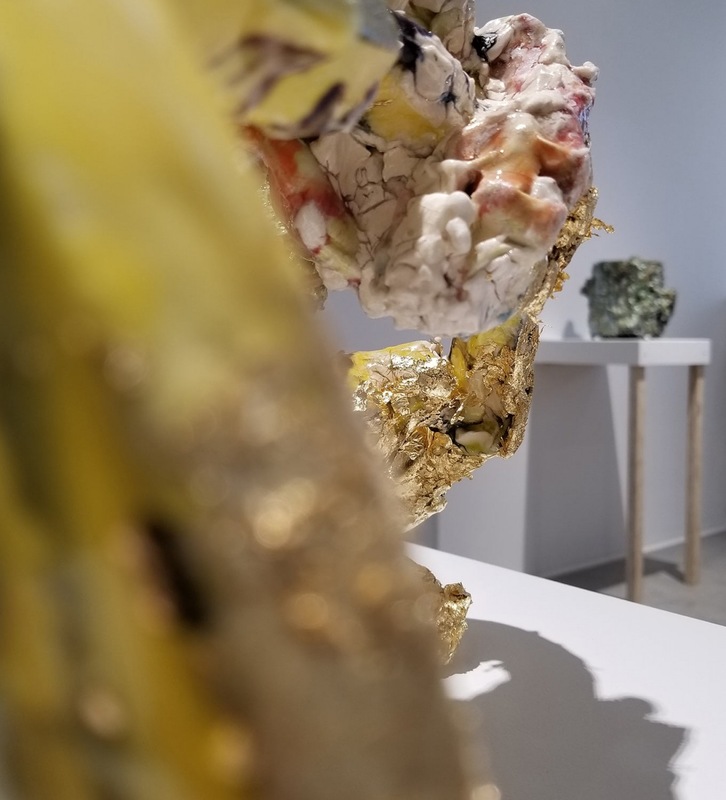 The exhibition opens Saturday, February 23rd, from 4-6pm. 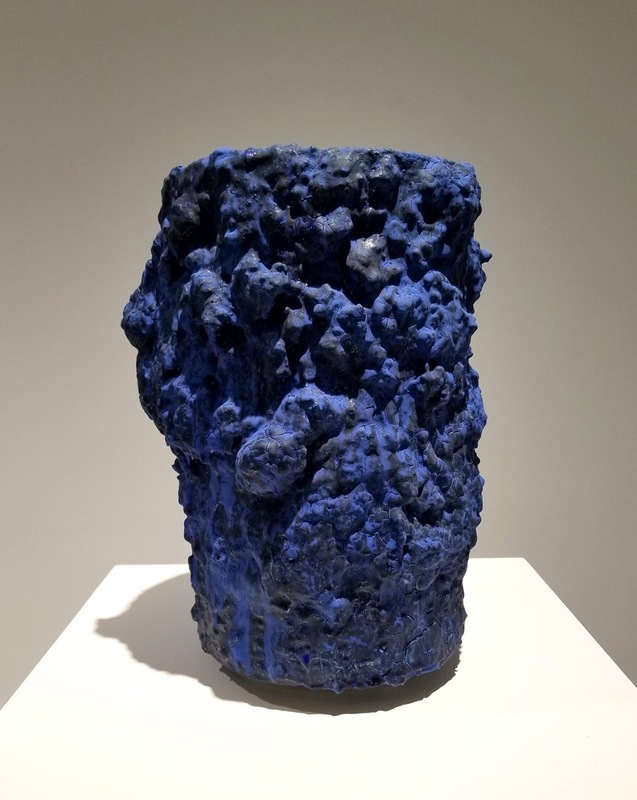 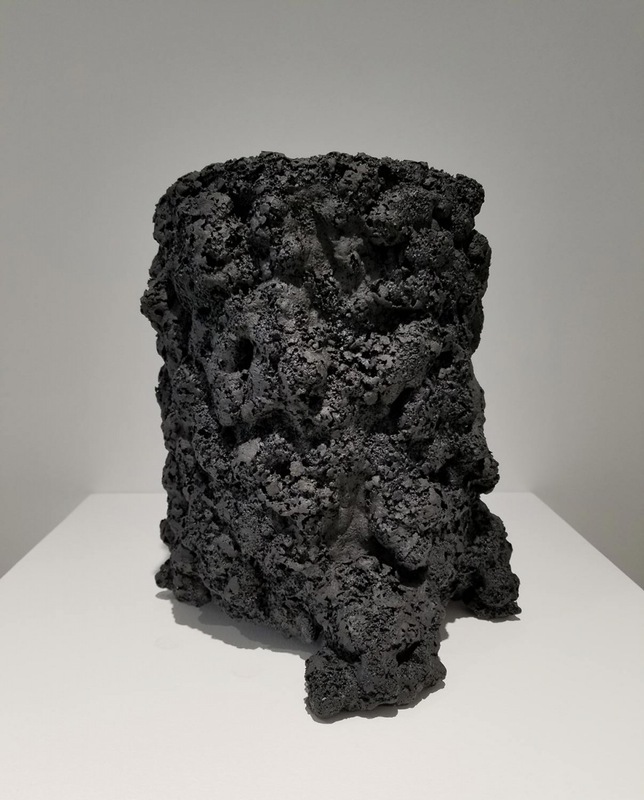 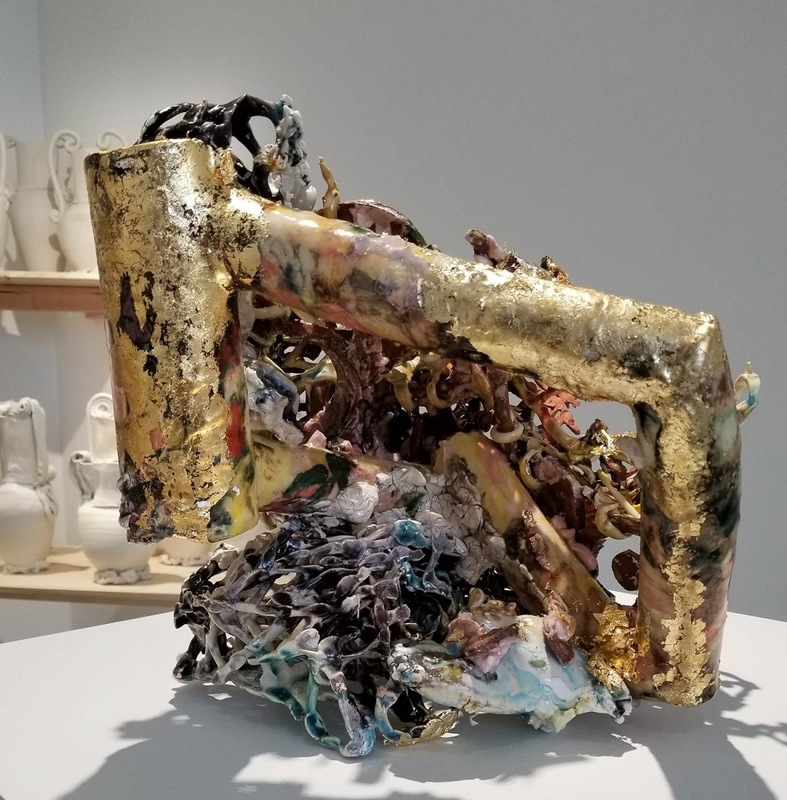 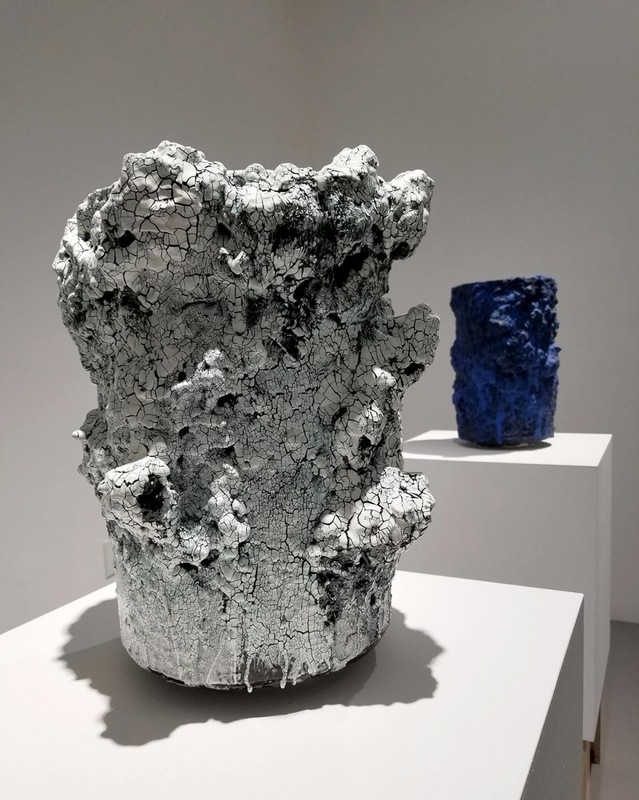 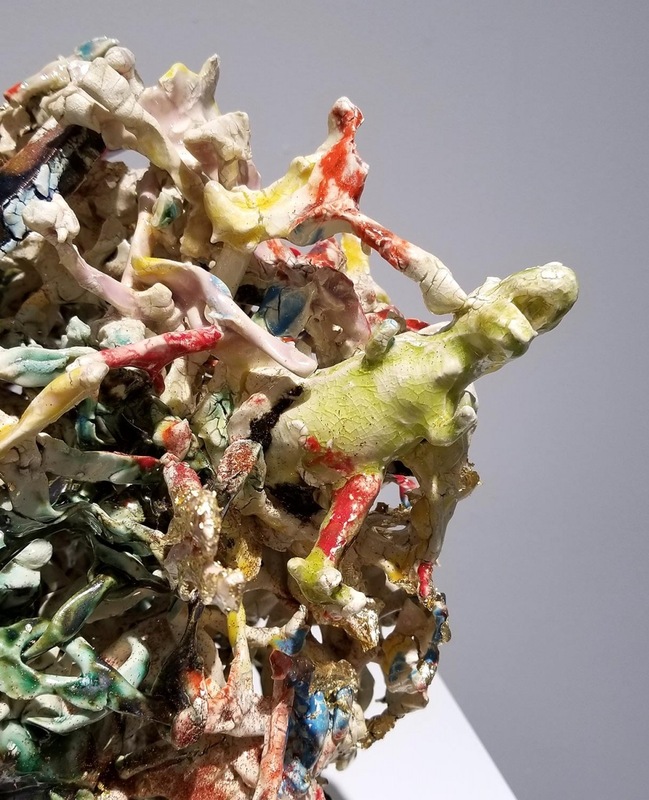 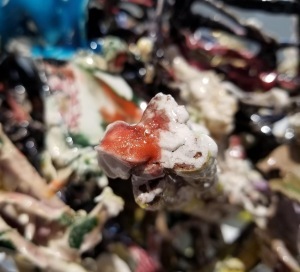 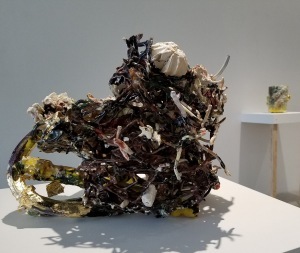 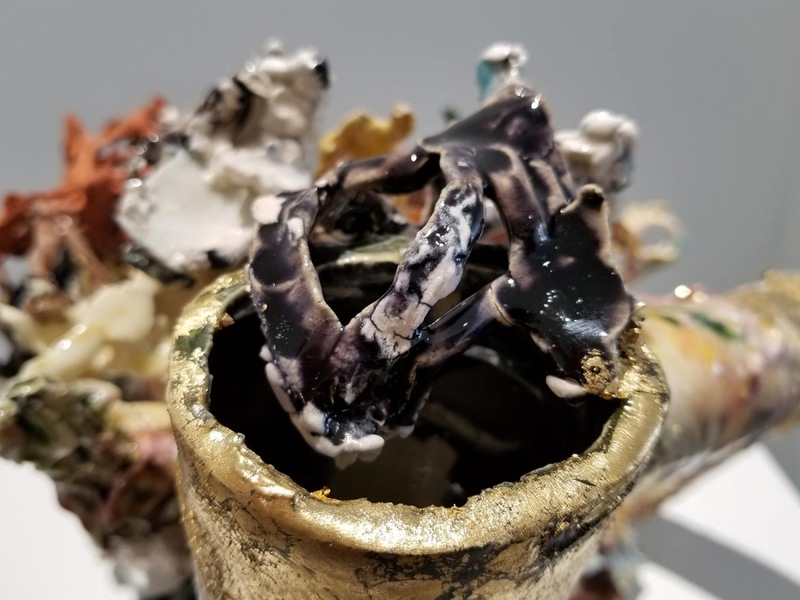 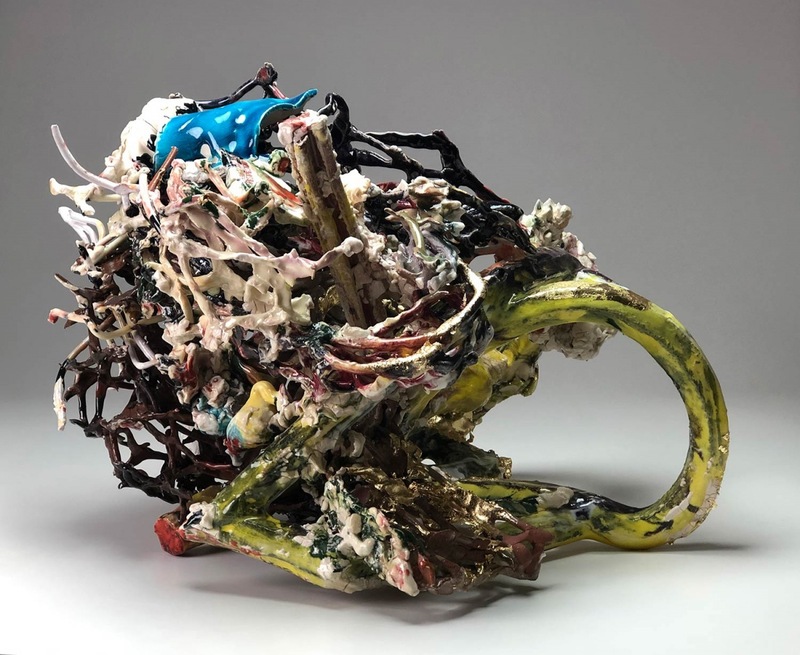 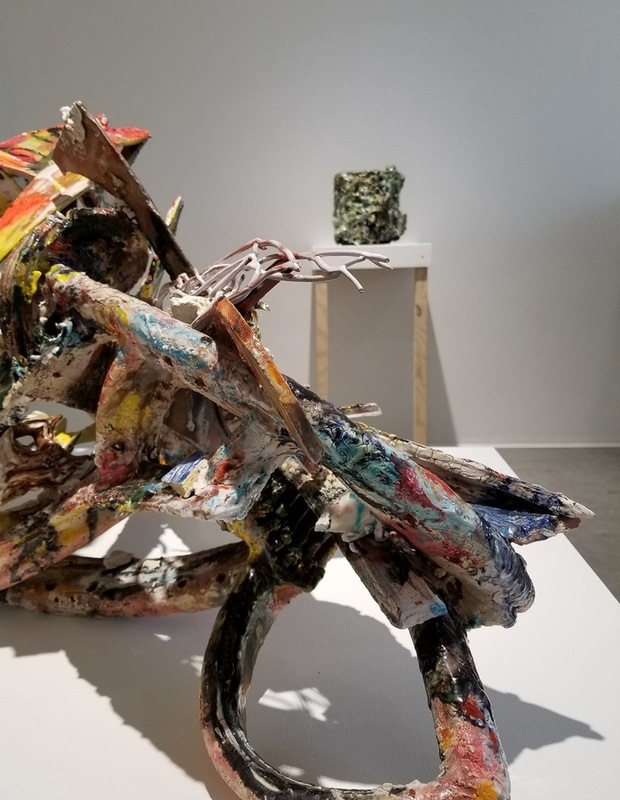 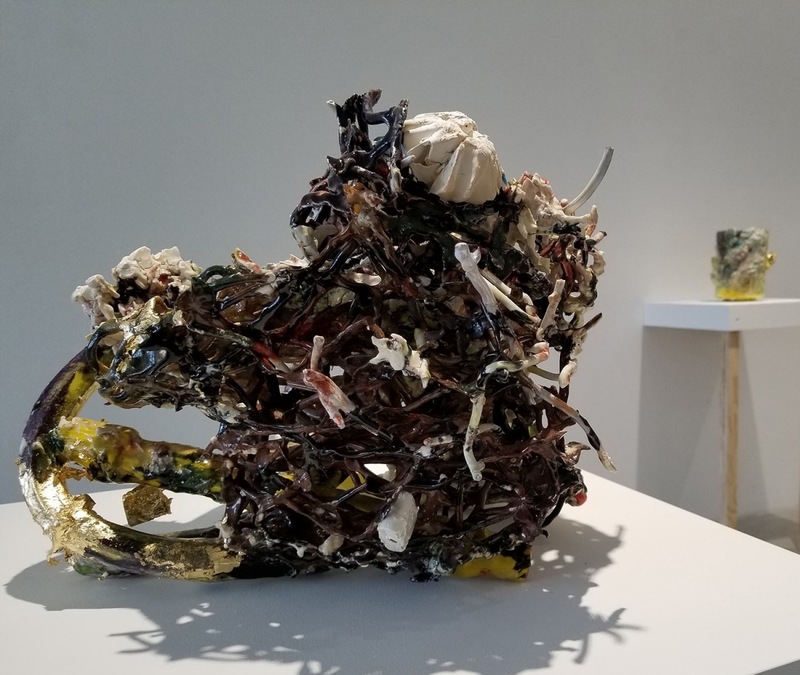 Immediately prior to the opening, at 2:30pm, Nathan Lynch, Chair of the Ceramics Program at California College of the Arts will moderate a conversation between the artists. There will be limited room for seating. Linda Sormin will also present a Visiting Artist Lecture at the Oakland campus of CCA, Thursday, February 21st at 7:30pm. Linda Sormin’s sculptures are a journey through personal archeology. 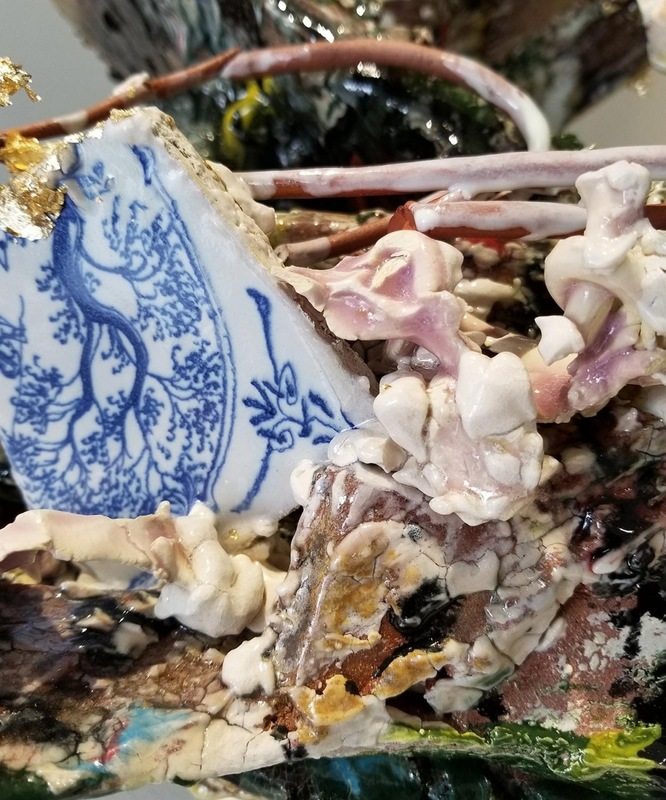 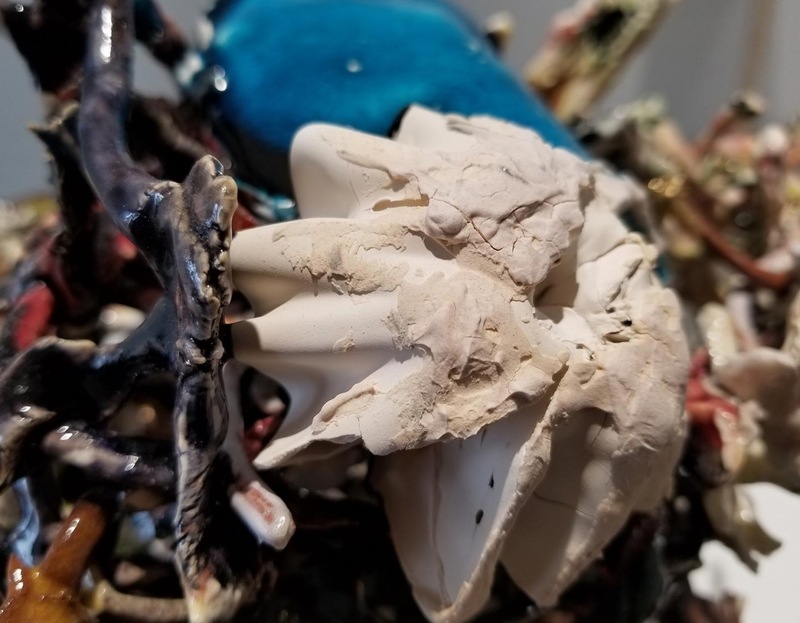 Her open-ended ceramics enfold many voices and labors, from the donated memorabilia of friends and strangers in distant places, to the hands of those assisting, to the dumpster diving, searching for the discarded. 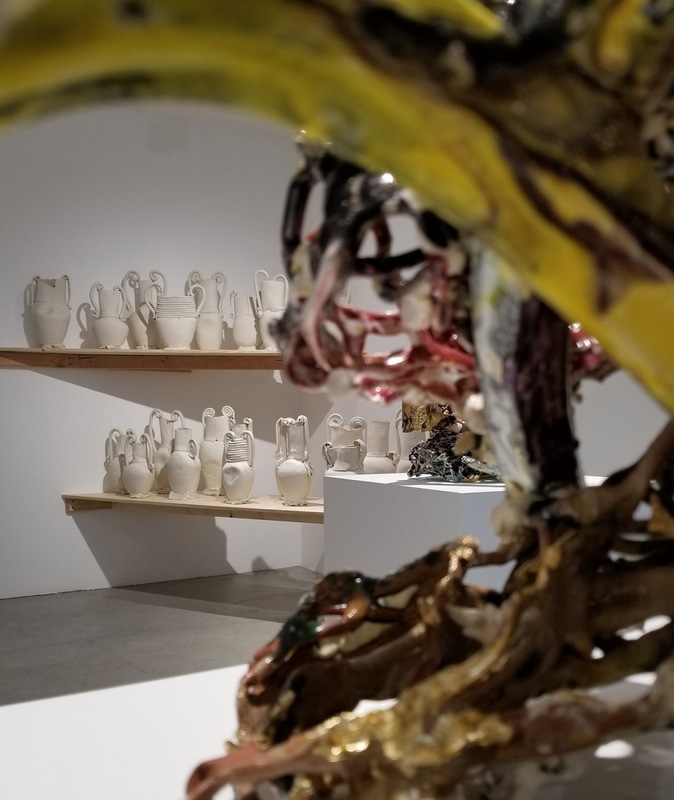 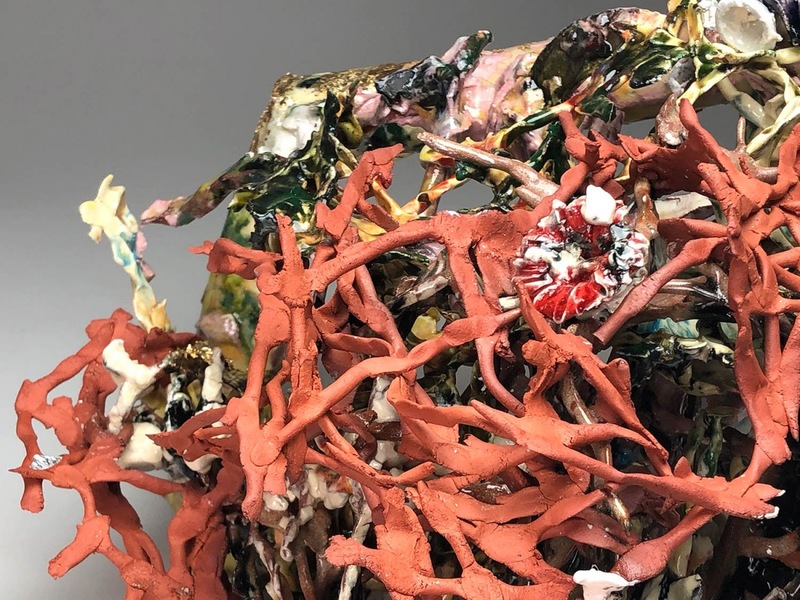 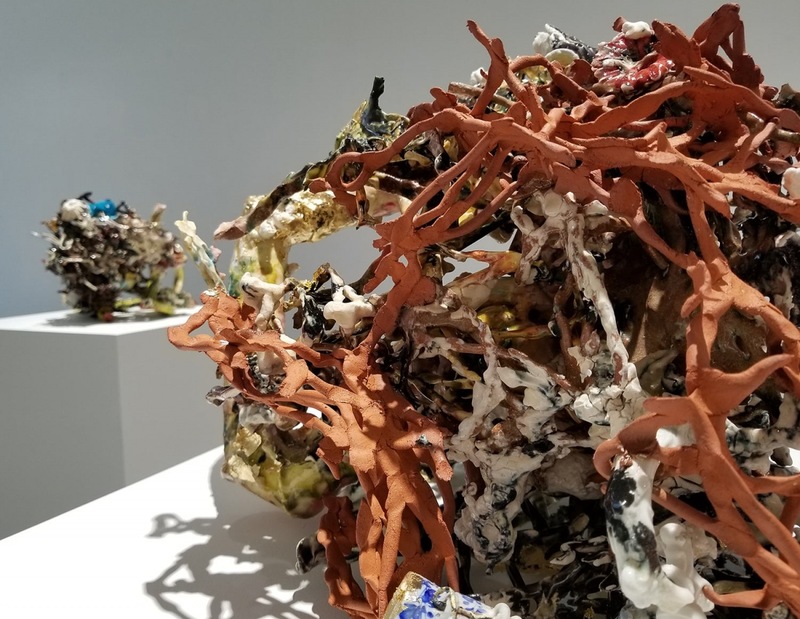 The complex membranes of pinched clay provide a porous conduit bridging and breaking bonds, entwining stories and histories among those who define themselves through their separations. Born in Thailand, working in North America, Europe and Asia, Sormin is influenced by kinetic energy, complexity, and disparate social/cultural/visual forces. While migration and identity form the backbone of the work, it’s the disruptive dissonance within her balletic balance that breaths life. 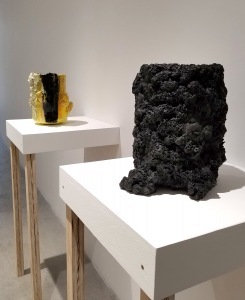 The technical considerations of how Sormin’s work evolves are never far from the stories within. 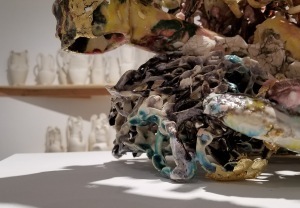 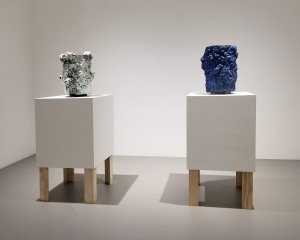 Multiple firings, various clays, smooth and rough surface, glaze, contrasting color, and cast away materials, are all integral elements in forming the non-linear narratives of discrete sculpture, and immersive installations. 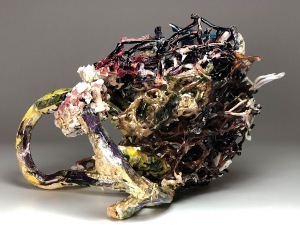 Sormin is Professor of Ceramic Art at the New York State College of Ceramics at Alfred University. Prior to Alfred, Sormin was an Associate Professor, (2006- 2011) at the Rhode Island School of Design. 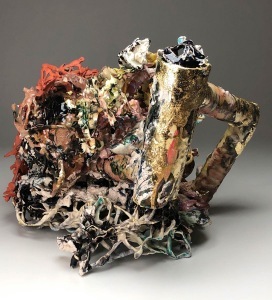 Her work has been extensively exhibited throughout Europe, the United States and Asia, including Jogja National Museum, Yogyakarta, Indonesia; CLAY Museum of Ceramic Art Denmark, Middelfart, Denmark; West Norway Museum of Decorative Art, Bergen, Norway. 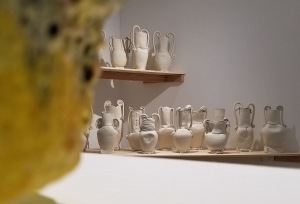 Collections include the Victoria and Albert Museum, London, UK; Alfred Ceramic Art Museum, Alfred, NY; Arizona State University Museum and others. Nancy Selvin studied at the University of California, Berkeley with Peter Voulkas & Ron Nagle in the late 1960’s. Her oeuvre comprises formal still life compositions and non-functional oversized domestic ceramic vessels expressed in clay. 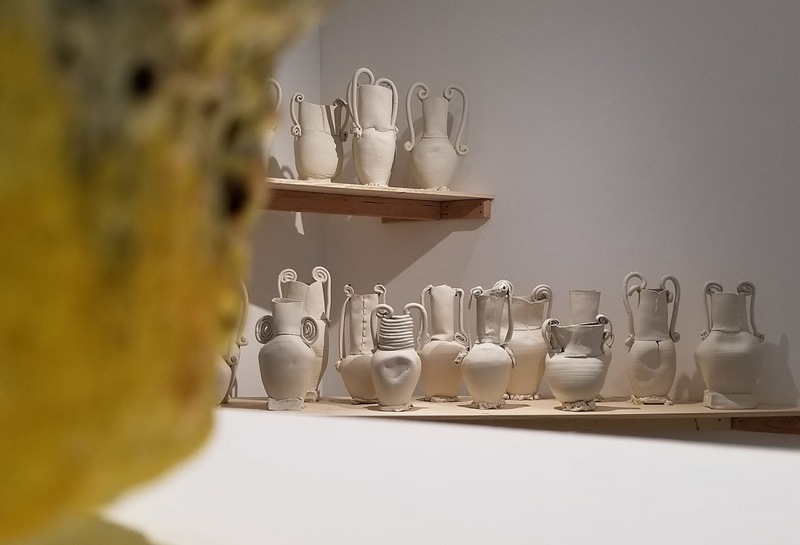 In this exhibition Selvin has undertaken a series of 46 unglazed porcelain hand-built vessels ranging in size from 14 – 20 inches in height. 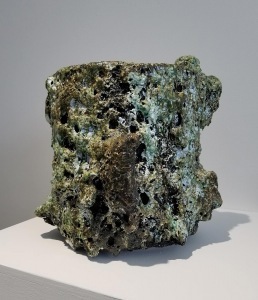 The vessels begin as slabs on thrown bodies, hand formed into classical urns, albeit with ragged edges and lapped, irregular seams. 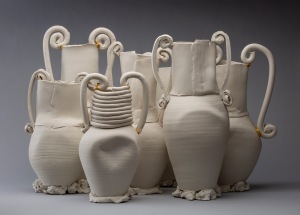 The elegant shapes are balanced on uneven decomposed tablets, side-marked with curvaceous handles. 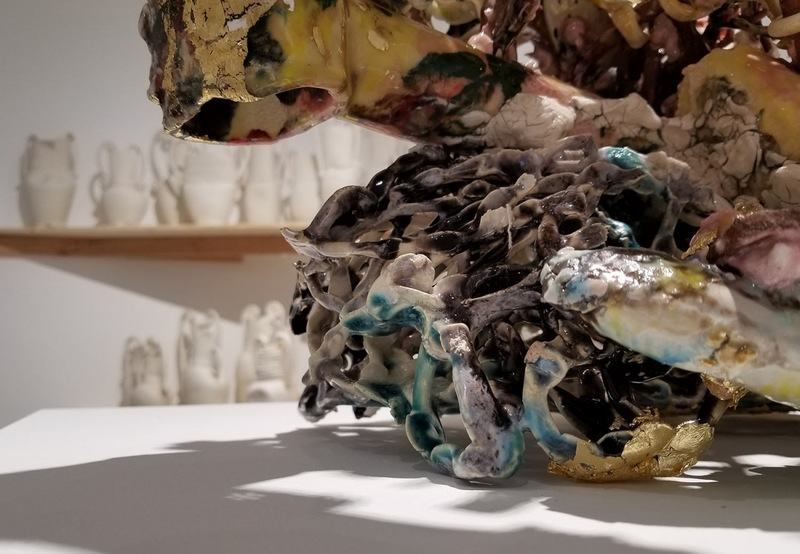 Although porcelain was not her first choice of material, she defaulted to achieve the dusty surface suggestive of impermanence, juxtaposed with the ghost white density reminiscent of Parian Wares. However, using porcelain incorporates unpredictability, in part due to the high firing temperature. 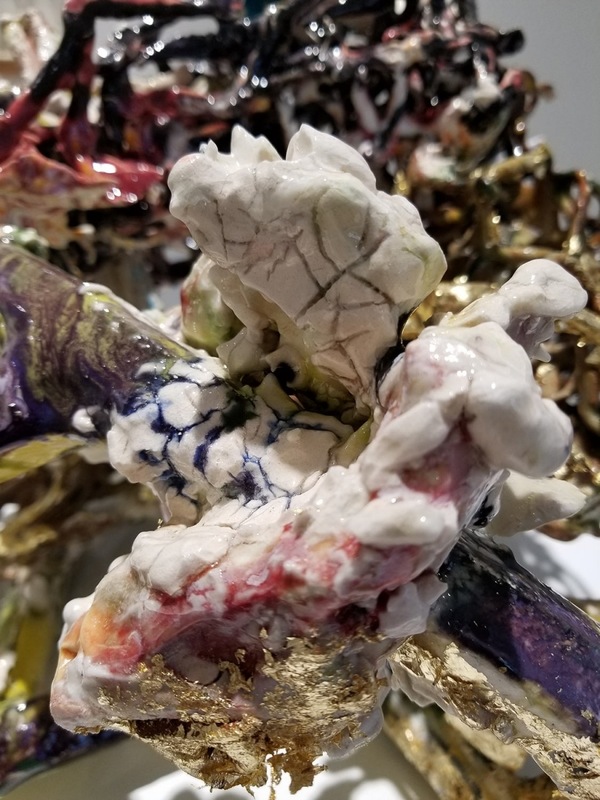 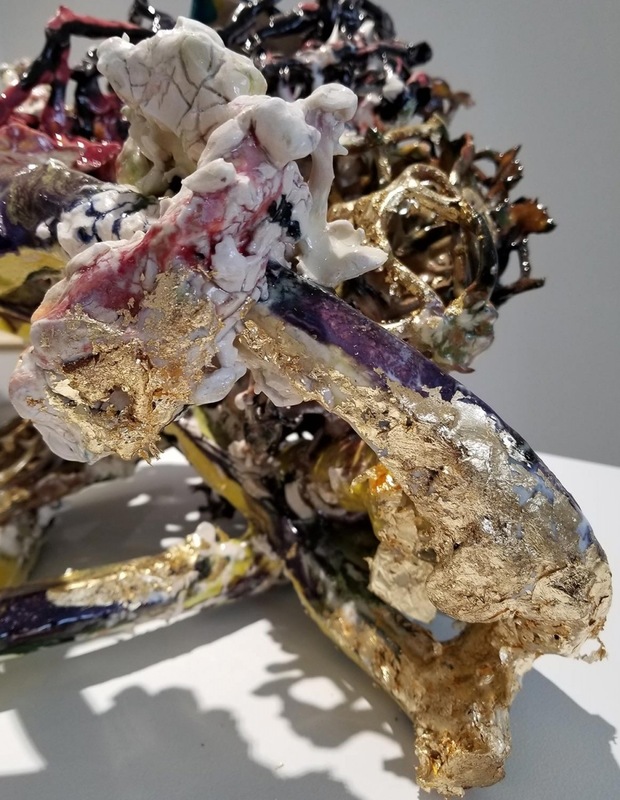 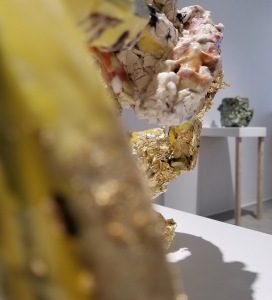 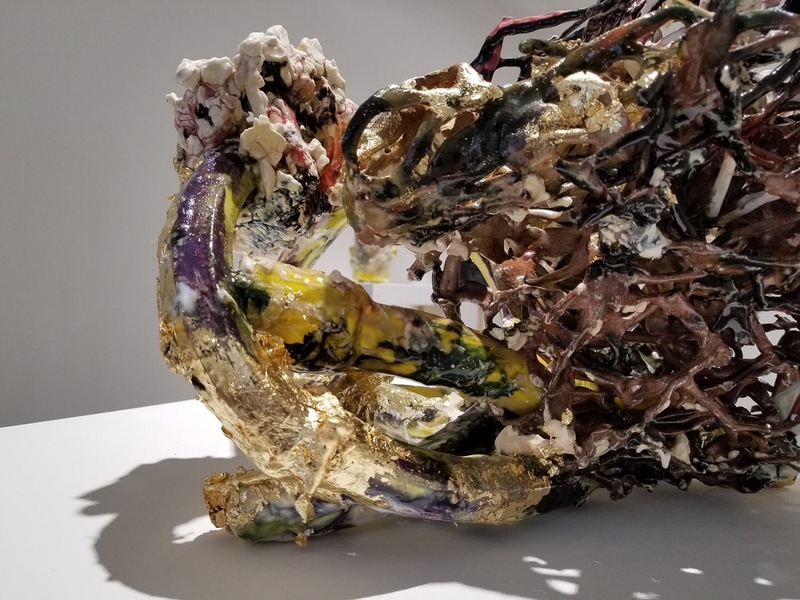 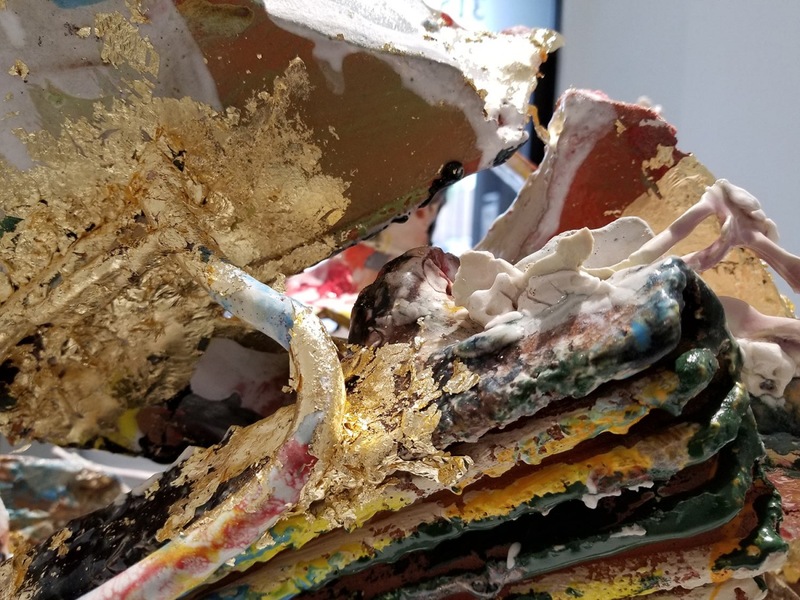 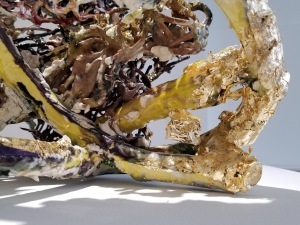 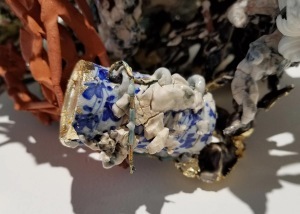 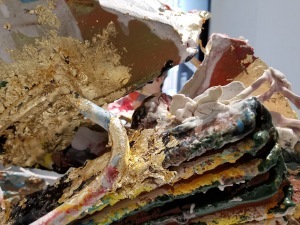 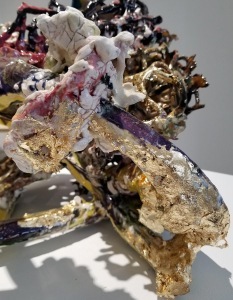 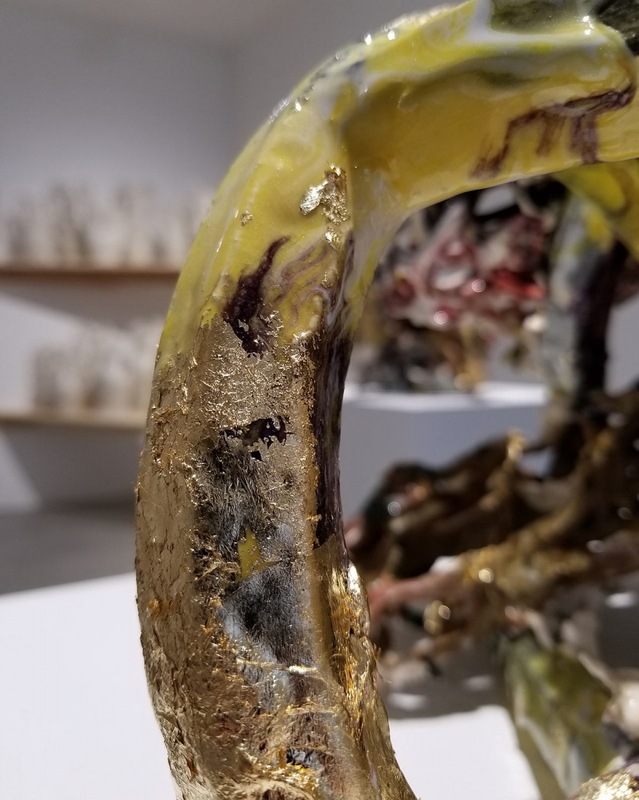 Rescuing a sculpture from certain demise is left to discretion, but where possible the ruptured seam, broken handles, or any number of unknown calamities Selvin repairs by Kintsugi, the Japanese method of soldering broken ceramics with a powdered gold resin. 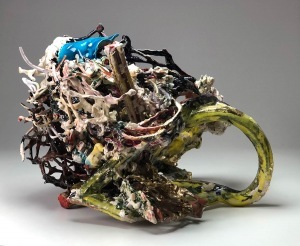 Nancy Selvin is Senior Adjunct Professor at California College of the Arts. 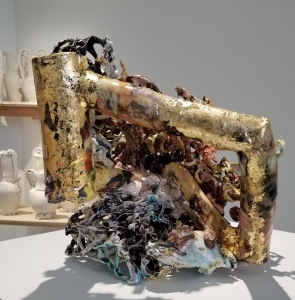 Recently “The Nancy Selvin” award was established at California College of the Arts, to honor Selvin’s professional and personal commitment in the field of ceramics, and offer an undergraduate ceramics major with a travel stipend to attend a residency program or conference. 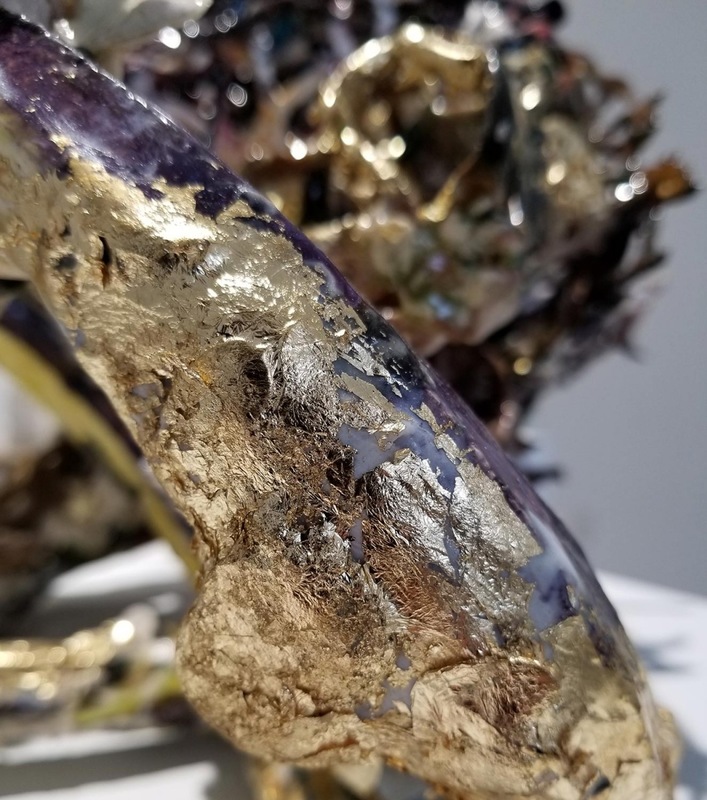 Selvin has received two National Endowment Artist Fellowships and a California Arts Council Fellowship. 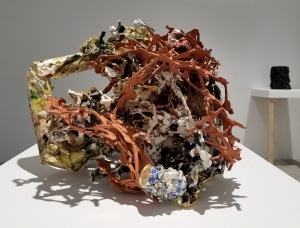 She is a past president and current Board of Trustee member for Watershed Center for the Ceramic Arts in Newcastle, Maine. She also serves on the board of the American Museum of Ceramic Art (AMOCA) in Pomona CA, and is a member of the International Academy of Ceramics in Geneva Switzerland. Selvin’s work is included in the collections of the Renwick Gallery of the Smithsonian; Arizona State University Ceramic Research Center; the Mint Museum, Charlotte NC; the Daum Museum, Kansas City MO; the Oakland Museum of California; the Nora Eccles Museum, Logan, Utah; the Los Angeles County Museum of Art; University of Iowa Museum of Art; and the Microsoft Art Collections, Seattle and Mountain View, California.